I went to zCon 2013, the zSpace developers conference, held in the Computer History Museum in Mountain View yesterday and today. As I mentioned in my previous post about the zSpace holographic display, my interest in it is as an alternative to our current line of low-cost holographic displays, which require assembly and careful calibration by the end user before they can be used. 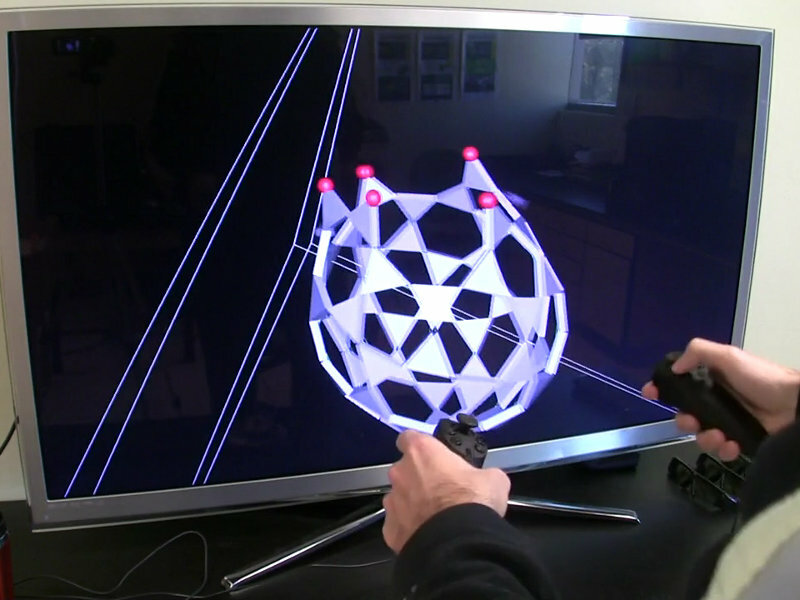 The zSpace, on the other hand, is completely plug&play: its optical trackers (more on them below) are integrated into the display screen itself, so they can be calibrated at the factory and work out-of-the-box. 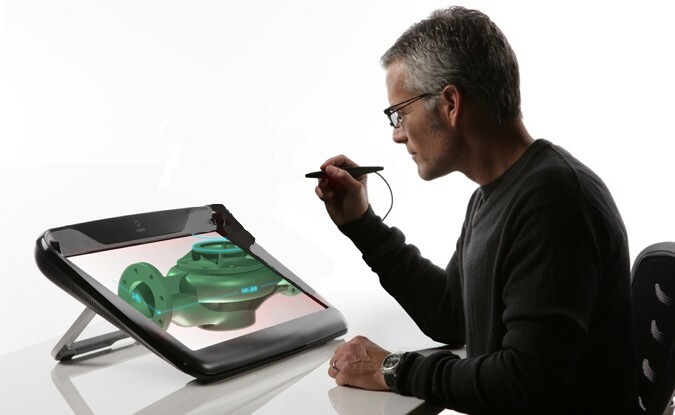 Figure 1: The zSpace holographic display and how it would really look like when seen from this point of view. So I drove around the bay to get a close look at the zSpace, to determine its viability for my purpose. Bottom line, it will work (with some issues, more on that below). My primary concerns were threefold: head tracking precision and latency, stylus tracking precision and latency, and stereo quality (i.e., amount of crosstalk between the eyes). I just found this old photo on one of my cameras, and it’s too good not to share. It shows former master’s student Peter Gold (now in the PhD program at UT Austin) working with a high-resolution aerial LiDAR scan of the El Mayor-Cucapah fault rupture after the April 2010 earthquake (here is the full-resolution picture, for the curious). 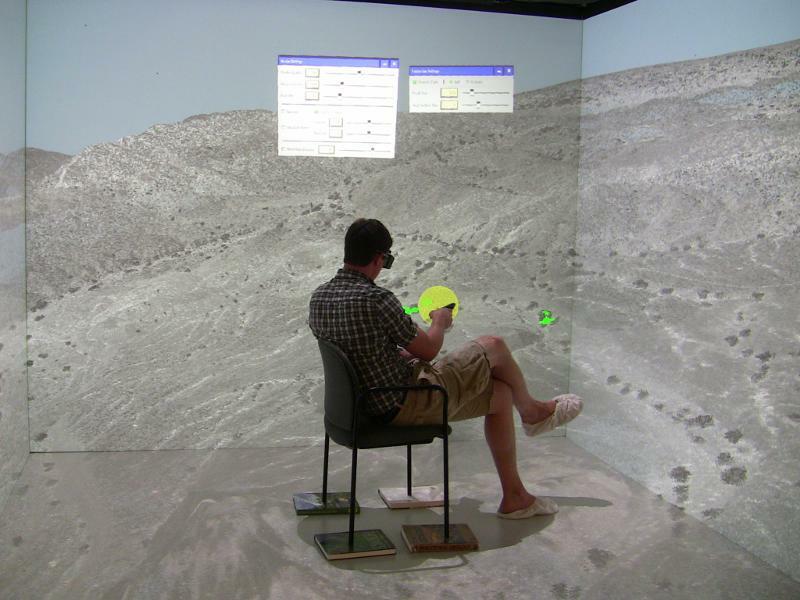 Figure 1: Former master’s student Peter Gold in the CAVE, analyzing a high-resolution aerial LiDAR scan of the El Mayor-Cucapah fault rupture.